Learn to use the KLN 89B/94, GNS 430/530, and GPSMAP 295, and the Apollo GX 50/60. The FAA does not mandate design, labeling, function, and operation of GPS receivers. With this lack of standardization, pilots are left to their own devices to learn each unit. Applicable to both VFR and IFR operations, all the tasks GPS can help you with are covered. Exercises are included throughout. Intuitive software is as easy to use as reading a book. Movie clips, animations, original figures and diagrams accelerate the learning process. Emulators integrate with the tutorial for hands-on practice of each task. Includes the manufacturer's simulators for the GNS 430, GNS 530, KLN 89B, and GX 50/60 (manufacturers simulators not available or included for the GPSMAP 295 and KLN 94). PC and Mac compatible. The manufacturers' operating manuals and simulators are included on the CD for the GNS 430, GNS 530, KLN 89B, and GX 50/60 (manufacturer's simulators not available or included for the GPSMAP 295 and KLN 94), along with FAA documents pertinent to GPS operations. 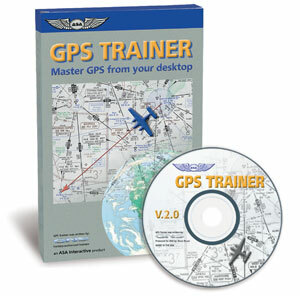 GPS Trainer is a tutorial that picks up where these materials leave off and focuses on the tasks GPS can perform. System Requirements: Windows and Macintosh “Classic” compatible. Global Navigation for Pilots presents background needed to learn international and oceanic operations.